Hi guys! I’m excited to announce a fun holiday link-up party I’m co-hosting with some of my best blogger buddies. 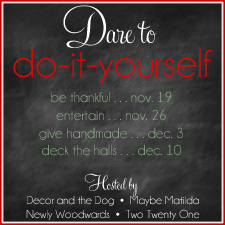 For the past 3 years Kim from Newly Woodwards has been hosting her Dare to DIY series during November and December, and this year she’s decided to expand it to include Rachel from Maybe Matilda, Michelle from Decor and the Dog, and yours truly. 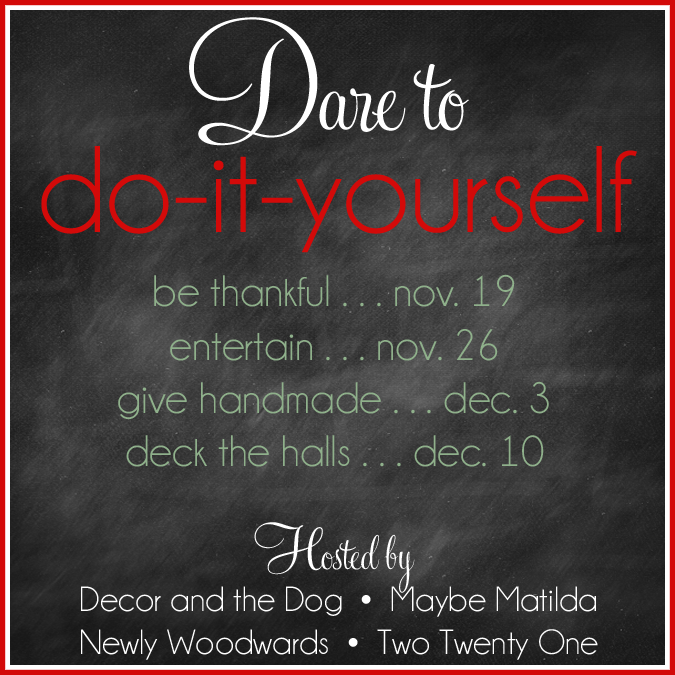 The point of the Dare to DIY parties is to motivate us to DIY projects through Thanksgiving and Christmas – and to do it together. 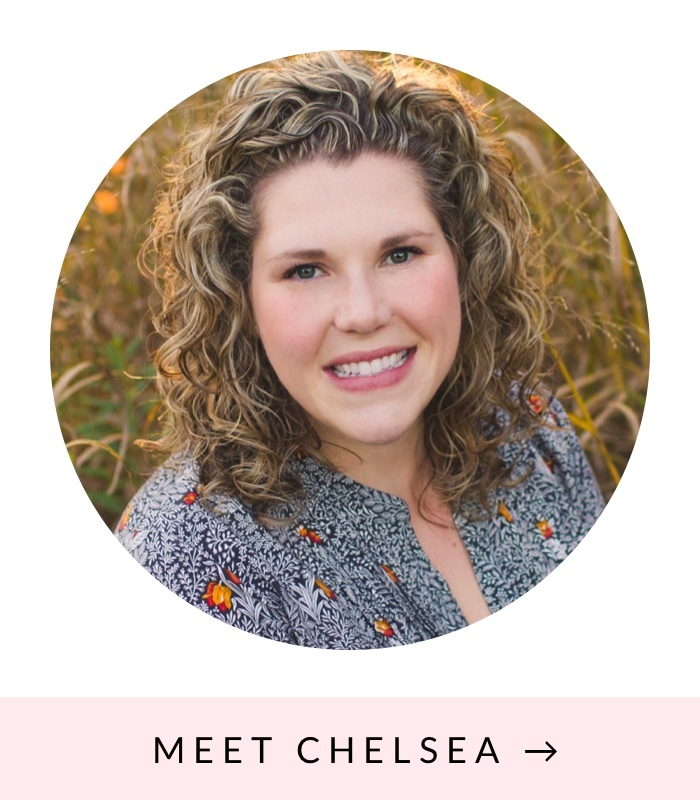 Another goal is to meet new blog friends! I mean, whoever said that they have too many blog friends? 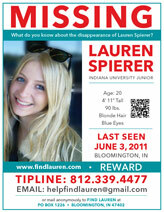 Each Sunday evening, I will post the party link. Post about your take on the challenge and link it up to the party. Then, try to visit at least one other blog and leave that person a comment. This is the important because we want to meet new blogger friends and get inspired. I mean, this is a party. And who doesn’t like getting blog comments? Each Monday, the link party goes live for that week’s Dare to DIY challenge. You can link up as many projects as you wish, as long as the posts correspond with the theme of the week. You can link up on any one of our four blogs and the link will show up on all the blogs. So there’s no need to link up on every blog. The linky will stay live through Wednesday. Later in the week, each of us will spotlight at least 3 projects we loved from the week on our blogs. We’ll also pin those projects on our shared Pinterest board. On the Friday before the party, all of the hosts will post their projects for the following week’s theme. Hopefully this will inspire people and serve as a reminder that the party is coming up. 2. Please link back to Dare to DIY by linking to the blog party you link up to (grab the button below). 3. Please go to at least one other blog and comment. This is a party. So get to know a few other bloggers. DIY something for your table. This could be something from last wee’s Thanksgiving table or a new Christmas look. Get creative and use things in new ways. Or go true DIY and make something totally new. Ideas include place mats, table runners, place cards or centerpieces. If you want to participate, sign up below. Just link directly to your blog home page. Sounds fun! I’ve already started planning DIY project for the holidays, mostly because of lack of funds from our recent move. Plus I’m new to blogging (one month in), and I’d love to meet new blogger friends!! Cannot wait! I already told Michelle I’ve got to get my husband started on our new dining room table! I don’t know if I can get my act together to meet these deadlines…ahhhh! But i am seriously loving this list of new blogs for me to explore with everyone linking up! This sounds like lots of fun! Thanks for hosting!! Thanks again for cohost ing. Should be lots of fun. I’m on it! Already have a post for the first one. Total overachiever.